Happy days everyone! 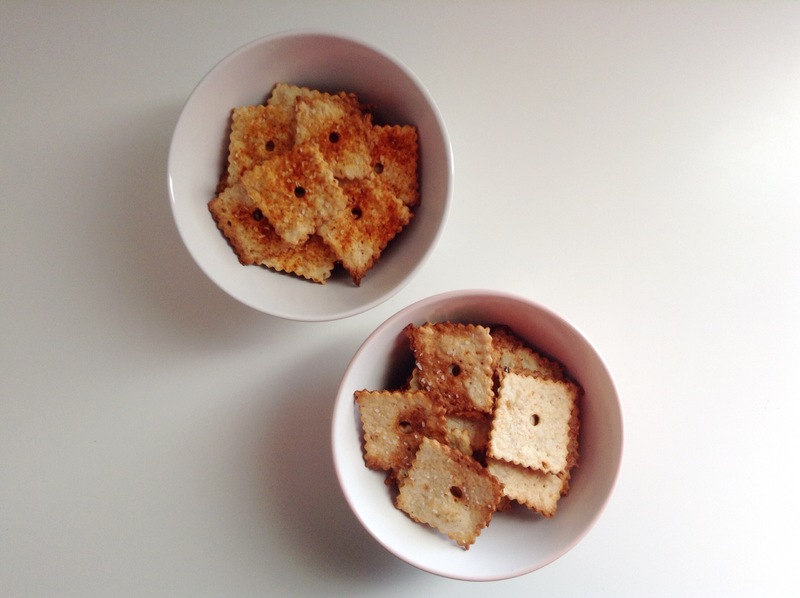 Once again we’re going left field and trying something new on the blog. I’m sure everyone knows about Cheez-Its, the cheese crackers and I hope you all know about that insanely delicious Queso Blanco Dip; if you don’t you should get familiar; I’m lactose intolerant and lord have mercy I love that thing with a passion, but I digress. 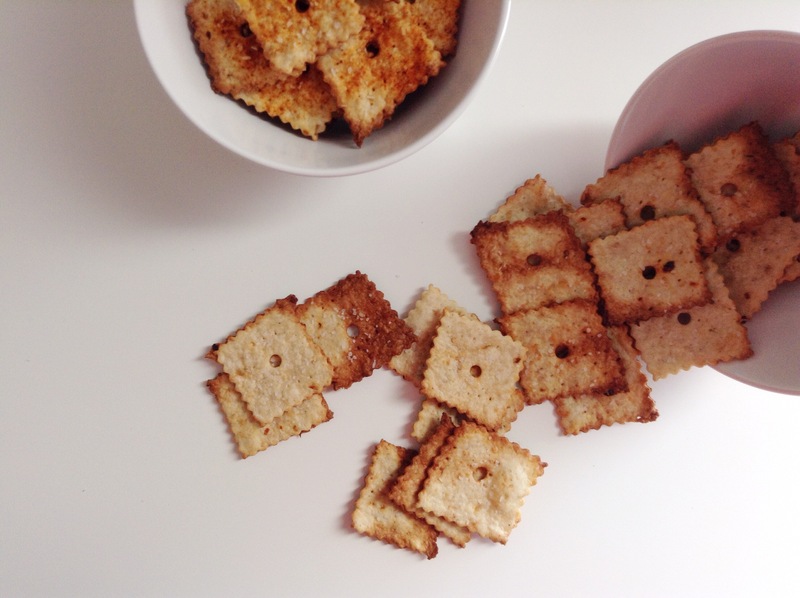 Today on the blog we’re making homemade cheese crackers but we’re not using yellow American cheese and we’re not doing the exact recipe of the Queso Blanco dip but it is something amazing and something the entire family (or apartment in my case) will enjoy. 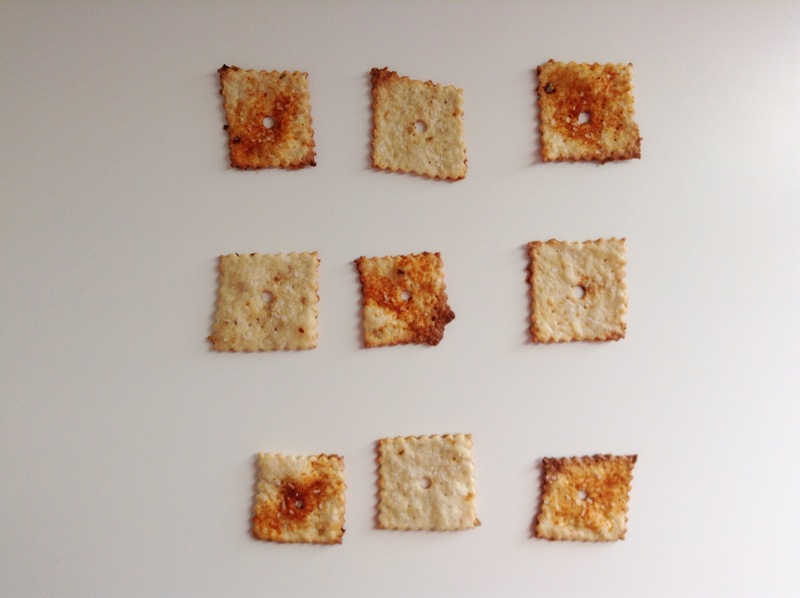 Adjustments: no real adjustments were made for this recipe besides the additions of the cheese and seasonings; this recipe makes almost 40 crackers but they go quickly, they were gone before the end of the weekend at my house so that’s a good sign, they’re also pretty light and crispy so don’t fret when you think about the amount they’re going to make. 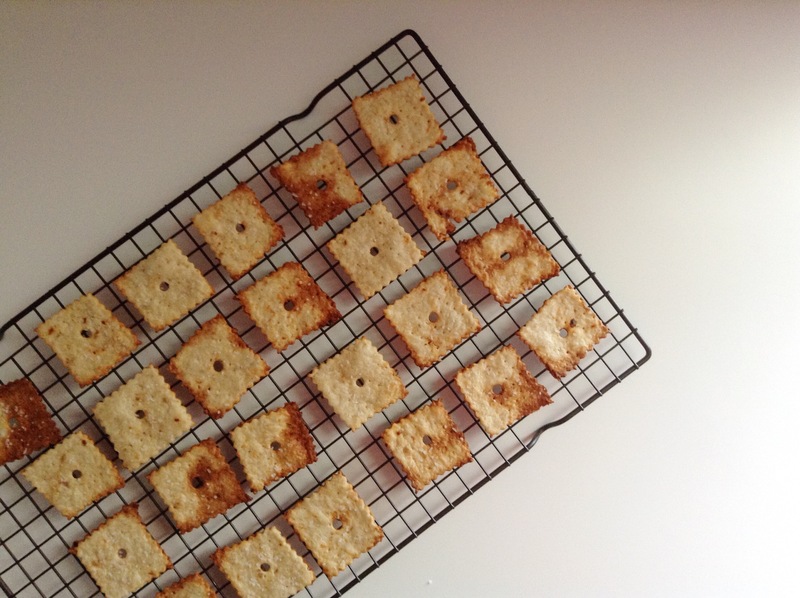 If you want it’s possible to half this recipe; but when I found a basic cracker recipe I had forth it to this recipe already since I thought the amount was a little on the hefty side. 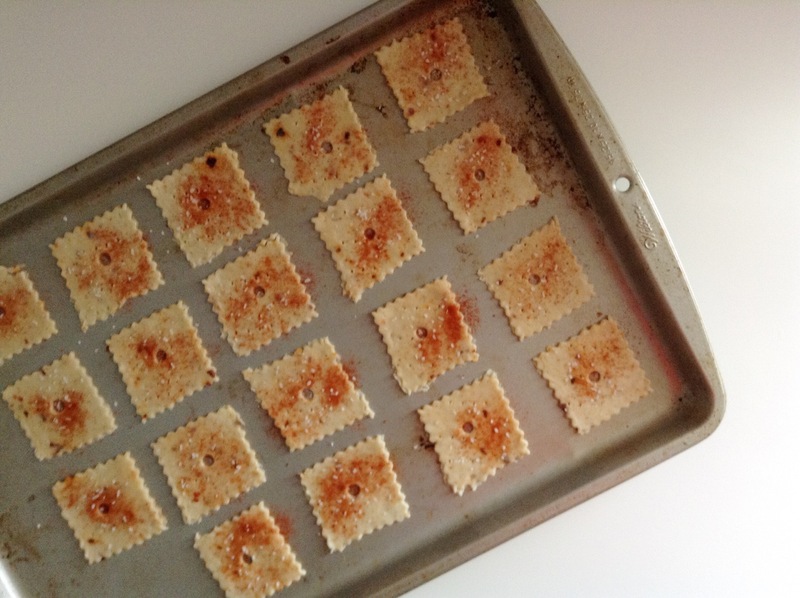 Alterations: there are countless alterations one can do with this recipe, while I’m still trying to work out a recipe for a sweet cracker (YUM!) 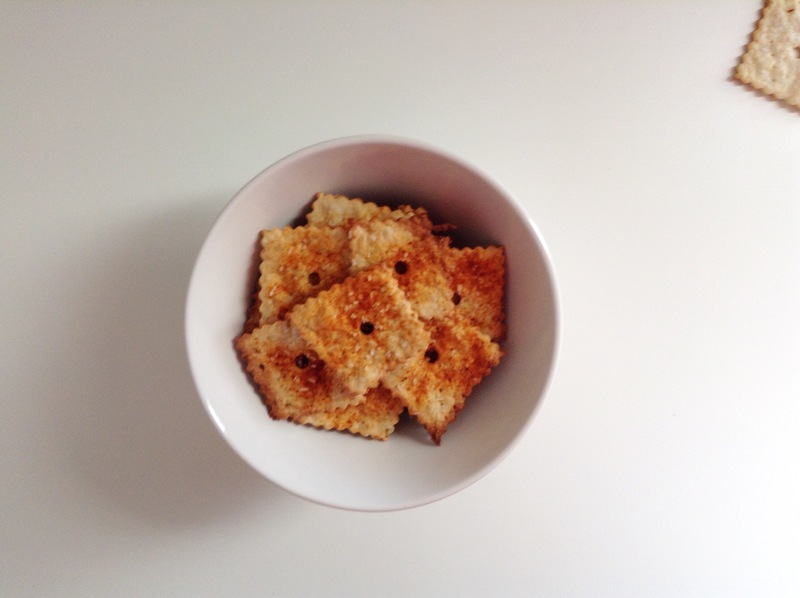 you can substitute any white cheese you want for this recipe. 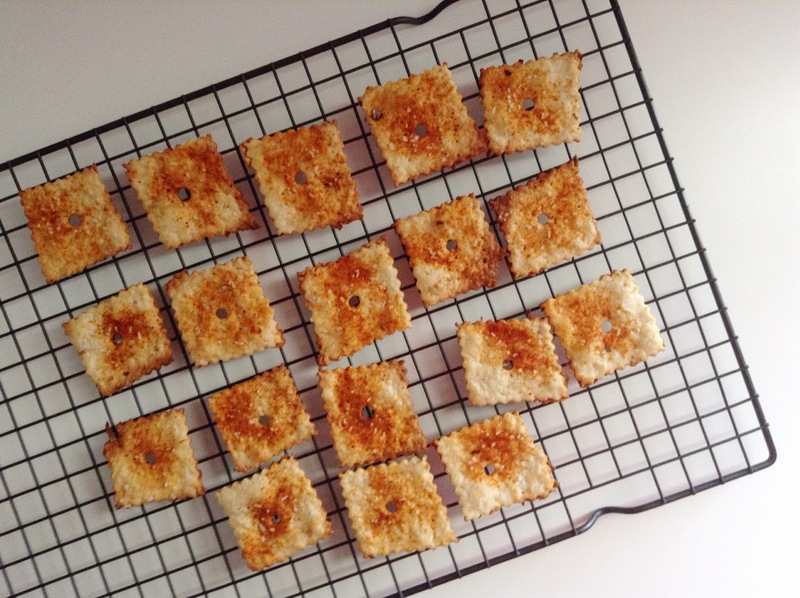 I plan on trying a jack cheddar recipe sometime soon so I suggest giving that type of cheese a try as well. Also as I stated at the beginning of the post I’m lactose intolerant so while I did use regular cheese I also used lactaid milk and I’m sure you can replace the lactose filled cheese with vegan cheese as well; I just love cheese so much that I can’t help myself. p.s. 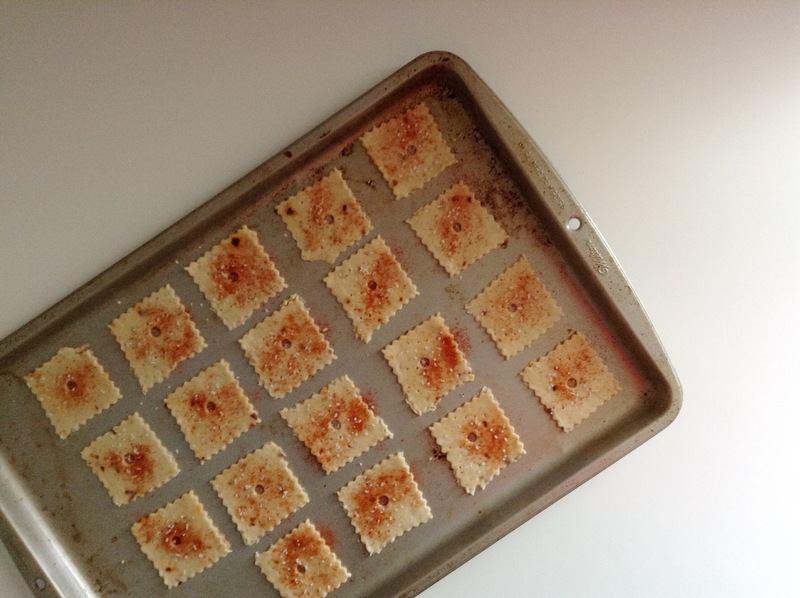 I also sprinkled some paprika onto only one sheet tray of the crackers just for fun, but the taste was pronounced; I also sprinkled some kosher salt on each cracker (a pinch on each will do) just to give it that normal salty cracker taste, it really rounds out the flavors of the cheese and the paprika combines with the other seasonings in the cracker as well to make the recipe perfect; although if paprika isn’t your thing you can omit it. 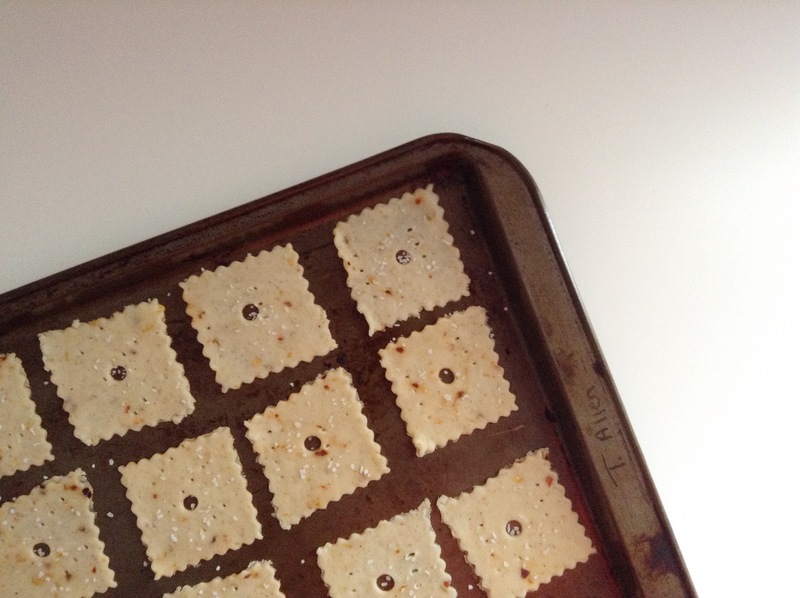 Helpful Hints & Suggestions: when it comes to rolling out the crackers thinness is key, you want these cracker super thin that way you can have that amazing crunch factor to it but the best part is it doesn’t take a lot of elbow grease to roll it out this thin anyway, I did all the rolling for these crackers in the span of maybe 45 minutes and that’s mostly because I stopped to talk to my roommates a couple times. 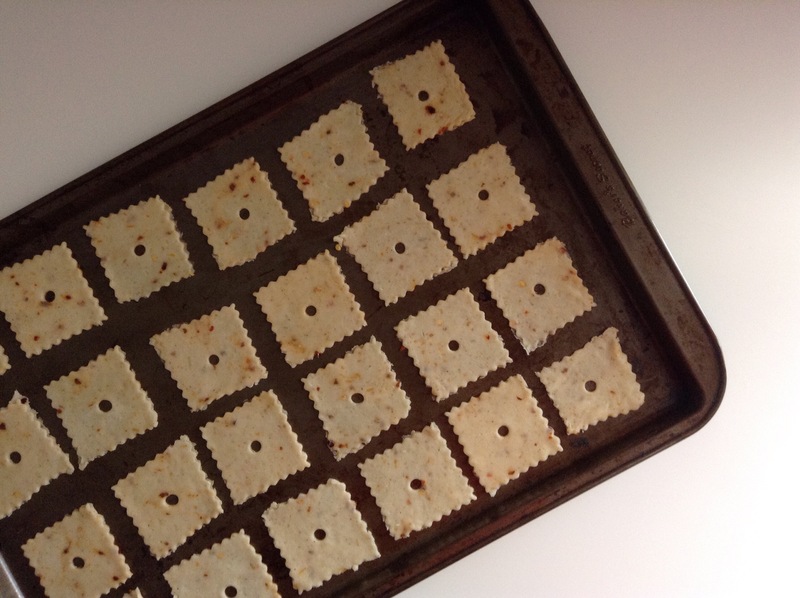 I also suggest having a silicon mat or parchment paper, to roll this that thin you’d need flour, raw flour tends to have that gross smell, bitter taste, and unsightly dark burned look to it after baking. You can roll it on the silicon mat and carefully pull it off and lay it onto your cutting table, then proceed to cut it into the shapes you want, I used a round piping tip to get those cute circles in the middle. Ta-Ta-For-Now: well that’s all over here. 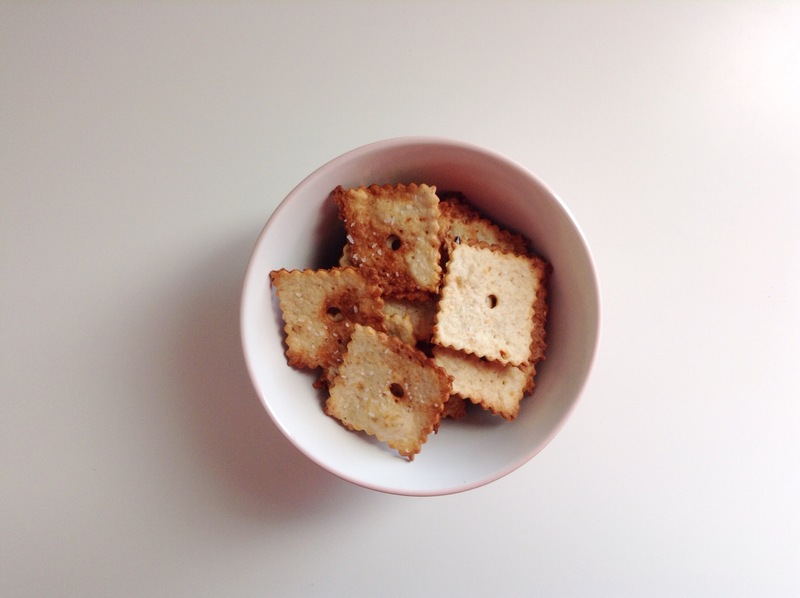 This recipe is a winner and a great homemade snack, it’s healthier (something you don’t always get on this blog), fresher, and tastier than any box cheese cracker you buy at the store, so sit gather around in the kitchen with your homies and have a fun cracker making night. ENJOY! 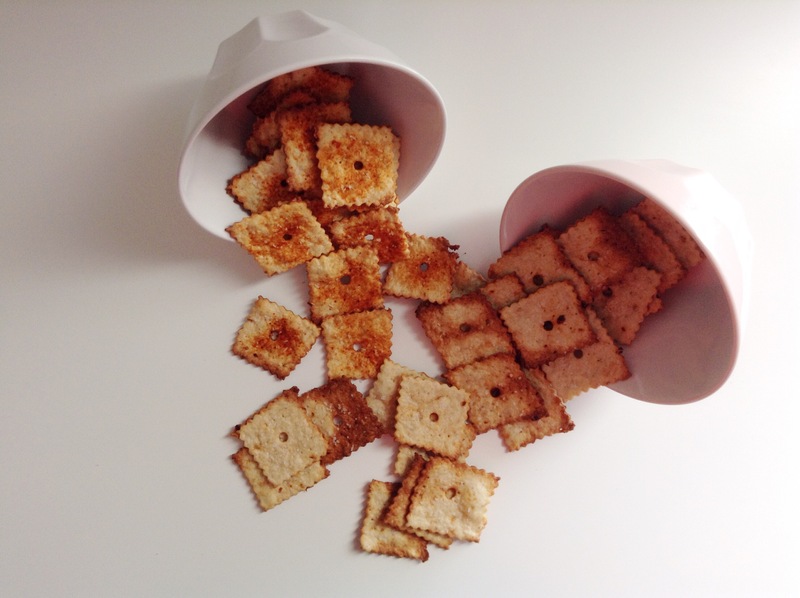 Sift, Season, Set Aside: in a bowl sift your flour, and all seasoning except for your red pepper flakes and set aside. Grate, Process + Mix: grate your cheese and sprinkle your cornstarch over your cheese and mix thoroughly; take your cheese and put it in a food processor, once your cheese has come together into a ball add your red pepper flakes and process it for a few more seconds, add your cheese to your flour mixture and combine, follow suite with your butter and finally add your milk and once all of your ingredients are amalgamated form your mixture into a ball and cut into four. 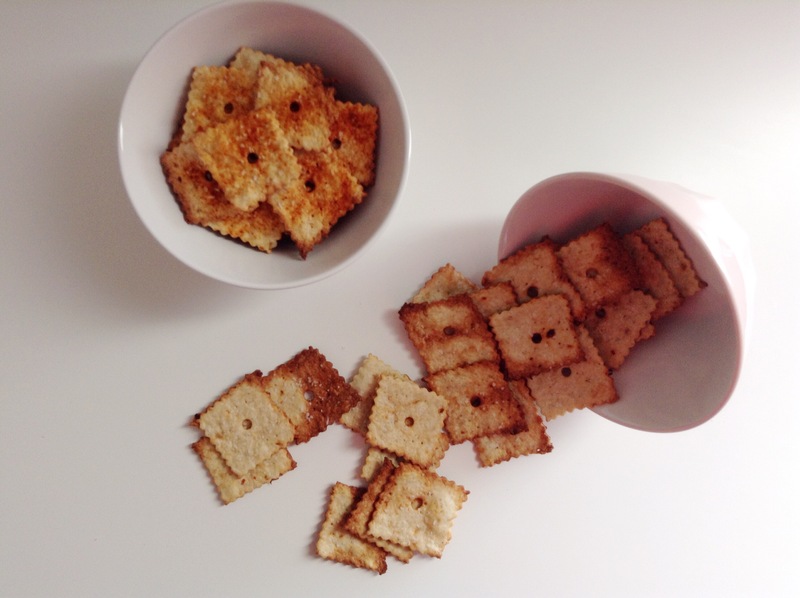 Bake and Eat: in your preheated 375F/190C oven bake your crackers for 5 to 7 minutes, place on a cooling rack and once fully cooled enjoy.